The Philadelphia Eagles are receiving more than just the Lombardi Trophy for winning the Super Bowl, they're also receiving their own custom WWE Championship Title belt. PHILADELPHIA (WPVI) -- The Philadelphia Eagles are receiving more than just the Lombardi Trophy for winning the Super Bowl, they're also receiving their own custom WWE Championship Title belt. In what has become a tradition for each champion in every major sport, WWE will be sending the custom title belt to the team to enjoy during the parade and other celebrations. 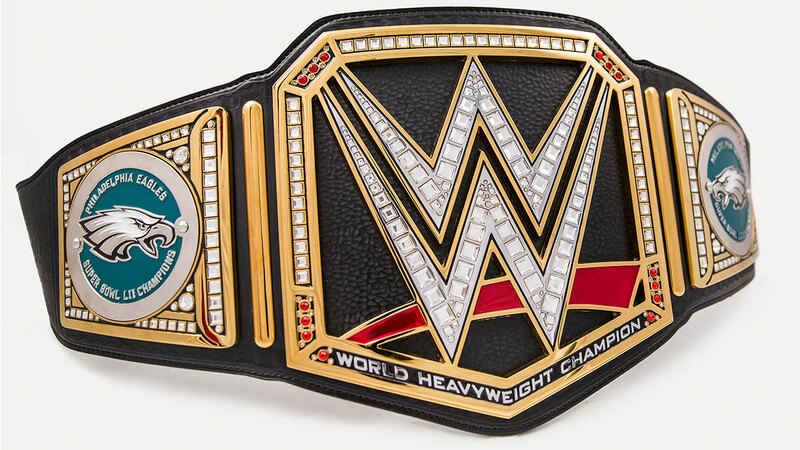 The belt features the WWE logo, with custom Eagles plates on each side. WWE's Paul "Triple H" Levesque took to Twitter on Monday to show off the belt and congratulate the birds.